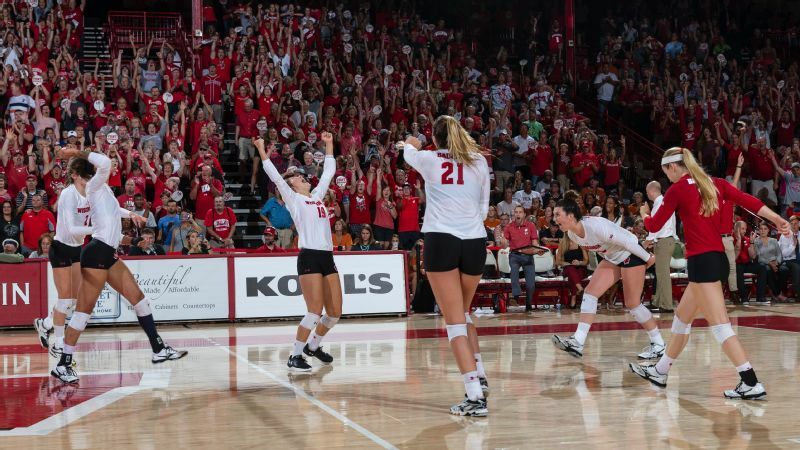 In front of 7,052 fans, Wisconsin made an early-season statement with a four-set win over Texas. 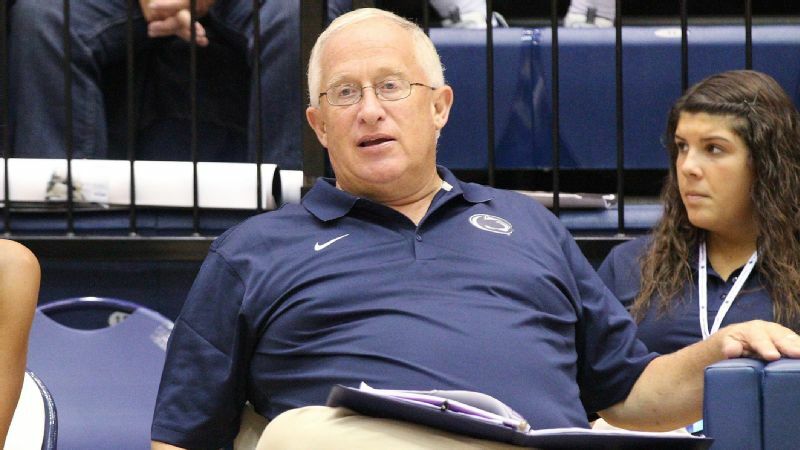 Two weeks into the season is ridiculously early to be talking about statement wins. Yet, after a weekend when both No. 1 Stanford and No. 2 Texas went down, it's hard not to gush about the teams that toppled the early-season favorites. On Friday, BYU gutted out a five-setter over the Cardinal, which earned 57 of the 64 first-place votes in last week's poll. On Saturday, No. 8 Wisconsin spoiled No. 2 Texas' sweet start to 2018 with a 3-1 upset. The Longhorns had topped ranked opponents Oregon and Florida on opening weekend. While Minnesota ascended to No. 1 in the new AVCA poll, Wisconsin took over at No. 2 and BYU moved up to No 3. Stanford slid back to No. 4 while Texas landed at No. 6. Remember, the Cougars were achingly close to the regional final last year but were eliminated by Kentucky in five. Their 28-2 regular-season mark lacked a signature win. That won't be a problem when the selection committee determines seeding this time around, particularly for a BYU team that has the talent to run the table in the West Coast Conference. Taking down Stanford is a resume boost, to say the least. 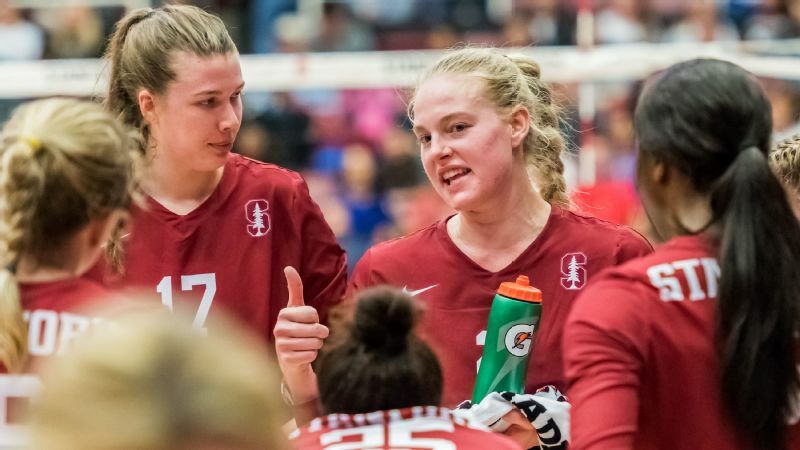 The Cardinal talent pool starts with 6-foot-6 reigning national player of the year Kathryn Plummer and includes returning All-Americans Jenna Gray and Morgan Hentz. But BYU got it done behind Roni Jones-Perry, who is making an early case to be a first-team All-American. The senior finished with 20 kills, including three critical terminations in the fifth set. Her tip around a block set up match point, and a Stanford net violation secured the victory. Keep an eye on these Cougars, who also got strong play from libero Mary Lake, a better passer than she was a year ago and among the reasons why Plummer hit .176. Setter Lyndie Haddock-Eppich kept the Cougars composed in a packed gym that saw BYU topple the nation's best team for the first time since 2000 (it was also Stanford back then). As for those Badgers . . .
Set aside that this one was gritted out in front of 7,052 -- the Wisconsin Field House is always electric, but this one was made even more so by the opening of the upper deck for the first time in a decade. Saturday's game was special for a couple of reasons, including the versatility the Badgers showed in dispatching a Longhorns team that had come off the best opening weekend in the sport, beating Oregon and a Florida team that had already stunned defending national champion Nebraska. Wisconsin features reigning national freshman of the year Dana Rettke, a 6-8 middle blocker, who hit a school-record .443 in starting all 32 matches last season. 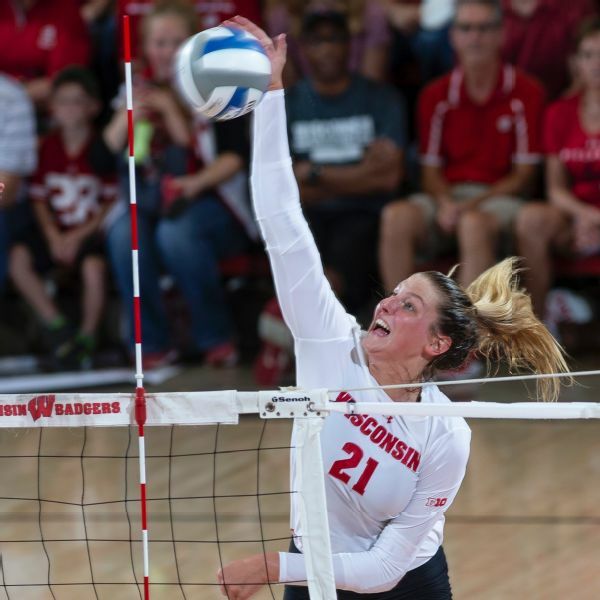 The Badgers also have Molly Haggerty, who is healthy after she sat out last season to recover from back surgery. The 6-1 outside hitter was the Big Ten freshman of the year in 2016 after leading the Badgers in kills. Grace Loberg has become a double-double machine this season for the Badgers. But Rettke and Haggerty weren't the headliners over a weekend that also included a 3-1 victory over High Point. Grace Loberg gave Texas fits. 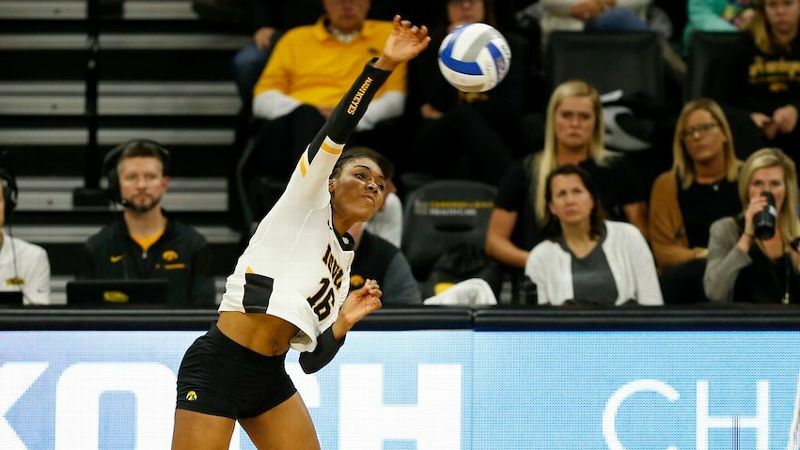 The 6-3 outside hitter rounded into form at the end of her freshman season last fall. 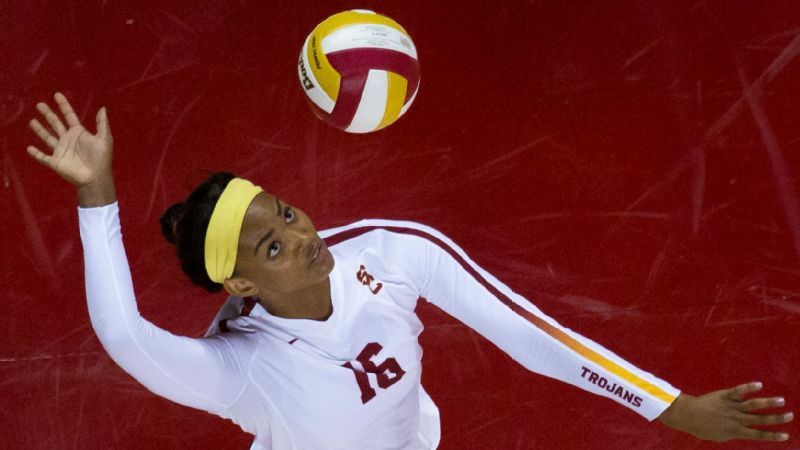 A summer off has made her even better, and she recorded 19 kills and 18 digs against the Longhorns. The week before, Loberg had her first career double-double of 13 kills and 15 digs in Wisconsin's victory over Florida State. 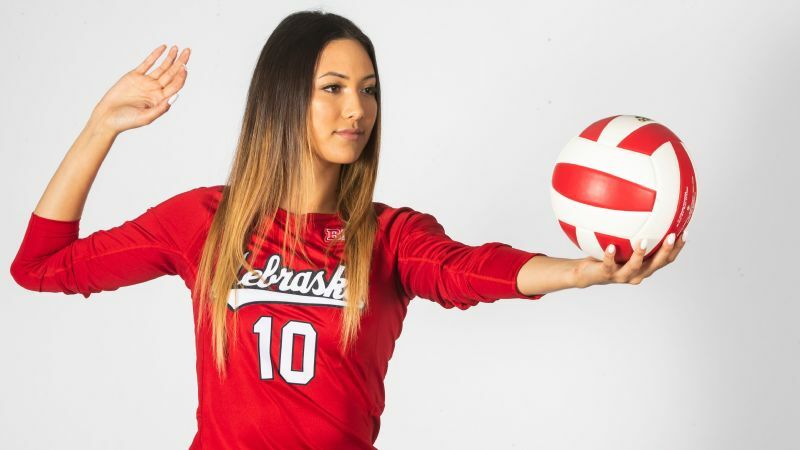 Wisconsin is deeper still behind Madison Duello, who had eight kills, two aces and two blocks against Texas. 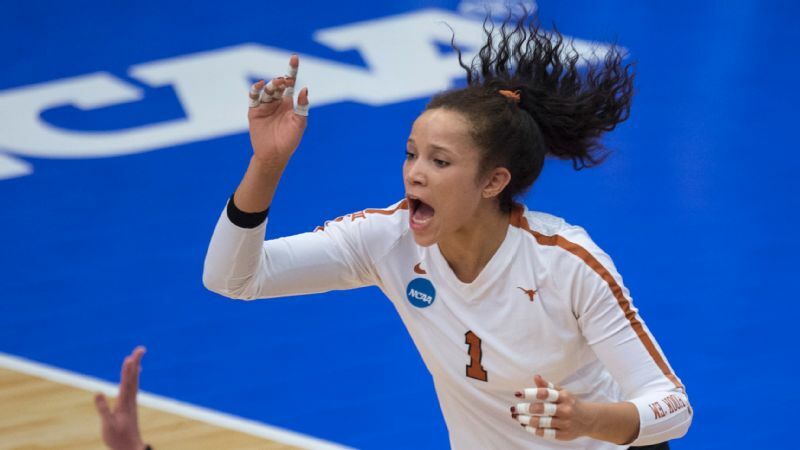 Setter Sydney Hilley runs the show with poise, and Tiffany Clark and Tionna Williams shore up a defense that rattled Texas in a final set dominated by Wisconsin. The Badgers led 20-7 before prevailing 25-12. Despite finishing seventh in the Big Ten last year, Wisconsin was slotted into the second spot in this year's preseason conference poll behind Nebraska. It's too early to be making final four predictions after any one win -- or wins in this case -- especially for Wisconsin, which has to navigate its way through the Big Ten thicket. But two weeks in, BYU and Wisconsin have already made their statements. Now we wait to see if they remain part of the national conversation as the 2018 season continues to unfold.